Incase you’ve been anticipating what the full specifications of the Samsung Galaxy S10 trio will look like, well you don’t need to wait till it launches next week before you have a feel of what the flagships are set to offer. 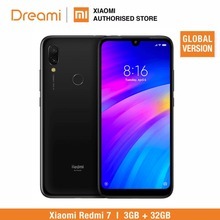 Most of the leaked specs are as rumored since people first got wind of the intended release of an S10. Of all the specs of the new Samsung Galaxy S10, the camera will most probably be the most talked about as it’s expected to feature a 10MP selfie camera and triple rear cameras. Now, thanks to GSMArena who claim an insider in Samsung leaked the specs sheet of the phone, we now have an idea of what the phone is going to offer. The S10e is expected to have a 5.8-inch display and will come in 4 colors: canary yellow, prism green, prism black and prism white. While the largest S10 Plus is expected to have a 6.3-inch display. Also, from the leaked cover for the Samsung galaxy S10, we can be sure that the S10 will come with a in-display feature and also a reverse wireless charging feature after leaking in Cinnabar Red. The weight of the S10 will be lower compared to previous Samsung galaxy series. It’s expected to weight almost the same as iPhone XR. The 800 nits display of the S10 is expected to provide the highest peak brightness in the history of smartphone. Creative web developer dedicated to building and optimizing the performance of user-centric, high-impact websites. I have a passion for writing tech-related content to enlighten the masses.